“Indian Institute of Science is the only Indian institution that has a chance to break into the list of top institutes in the world“, said Bharata Ratna Prof C N R Rao. 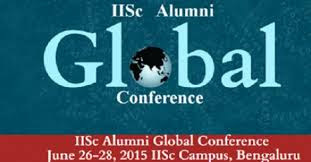 He was speaking at the IISc Alumni Global Conference at the J N Tata Auditorium in the Indian Institute of Science (IISc) campus. The IISc Alumni felicitated the legendary scientist for his remarkable contributions to science. Prof Rao is associated with the IISc for more than fifty years, and his path breaking research has brought laurels to the country in general, and to the IISc in particular. “My life is intimately connected with this Institute”, he said with a sense of nostalgia. Recollecting his early days in the Institute, he said, “Some of the best friendships of my life were developed here. I met JRD Tata and Satish Dhawan at the IISc”. He called Satish Dhawan “the moral conscience of Indian science”. Prof Rao also revealed that he proposed to his wife Indumati, by calling from a landline phone in the Department of Inorganic and Physical Chemistry! Back then, that was the only phone in the whole Department! He also wrote his first scientific paper as an independent author, when he was at IISc. In his speech, Prof Anurag Kumar, Director, IISc said, “Our vision is to be among the world’s foremost academic institutions”. 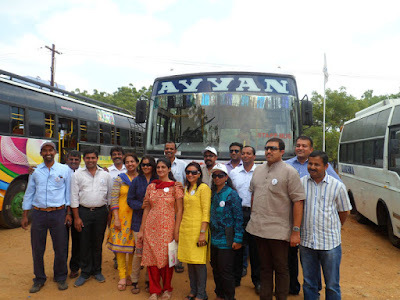 He took the audience through the research activities and infrastructural developments taking place in IISc. He also unveiled a path to realise the vision of making IISc one of the best in the world. In a session on ‘Contribution of IISc to Strategic Sectors’, leaders from Indian science and technology elaborated on how IISc has played an important role in the development of many technologies of national importance. Kiran Kumar, Chairman, Space Commission, and an IISc alumnus, said, “If ISRO exists today, it’s mostly because of its connections with IISc”. 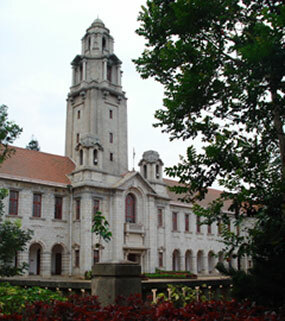 The architects of the Indian space program, Vikram Sarabhai and Prof Satish Dhawan, had very close connections with IISc. Prof Dhawan also served as the Director of IISc from 1962 to 1981. Bhujanga Rao, Director General, DRDO said, “IISc has contributed a lot in the form of talent. Many of leaders of DRDO studied in IISc”. Elaborating on the “long history of partnership since 1970’s”, he mentioned that a lot of basic research critical for DRDO get done at IISc. “Many faculty members from various departments of IISc are deeply involved in DRDO projects”, he said. Baldev Raj, Director, National Institute of Advanced Studies, spoke about the role of IISc in the development of atomic energy technologies in India. “Homi Bhabha, the father of atomic energy program, extensively used his connections with IISc”, observed Baldev Raj. Calling IISc his mother, he said, “Without IISc, I wouldn’t have achieved even a small fraction of what I achieved”. Kota Harinaraya, Former Chief, LCA Programme, explained how IISc played a crucial role in the development of India’s first Light Combat Aircraft (LCA), Tejas. He said, “IISc has nourished the LCA program, and the Department of Aerospace of Engineering virtually it”. According to him, many IISc faculty members worked a lot on the design of the aircraft, development of software tools, and in rigorous testing of components of the aircraft. Building on the success of its Z3 series, Sony India today unveiled Xperia Z3+, the slim, sleek and stylish high-performing premium smartphone. 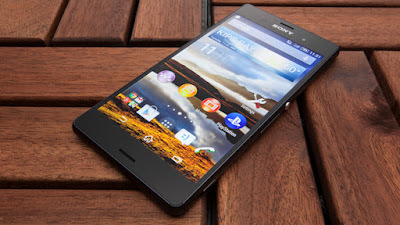 This unique device is the premium addition to the Xperia Z3 series flagship smartphones. Coupled with Sony’s superior camera technology that is now packed into both the main and front cameras, Xperia Z3+ helps you get the best pictures. Its Impressive smartphone battery stamina and performance keeps you connected faster and longer, whether for work or play. And Sony’s unique signature waterproof design ensures you can do it, whatever the weather. The main camera features the 20.7MP camera with Exmor RS for mobile image sensor, BIONZ for mobile processing engine, and a 25mm wide-angle G lens. Create the best shots first time, every time with improved Superior Auto – it automatically optimises settings to give you the best possible picture and can recognize up to 52 different scenes. And with new Gourmet mode, even your food pictures will be looking their very best. Add some fun and creativity to your photos with the latest Xperia camera apps including Style portrait and AR mask. Capture impressive detail even in low light conditions, thanks to the ISO12800 sensitivity and large 1/2.3 image sensor. Get great shots even when there is strong backlight, with HDR for photos and videos. Preserve and enjoy your precious moments in high quality with 4K video recording and output. The new 5MP front camera with Exmor R for mobile image sensor means you can now get better selfies in any light. And the 25mm wide-angle lens is perfect for group selfies. Superior Auto analyses the photographic environment and automatically adjusts settings to make you look great every time. Full HD 1080p is ideal for video chat and when you are shooting selfie videos, SteadyShot with Intelligent Active Mode estimates movements to produce smoother videos. Xperia Z3+ comes packed with the ultra-fast Snapdragon 810 octa-core 64 bit processor that lets you browse faster than ever and get the optimal graphics experience. 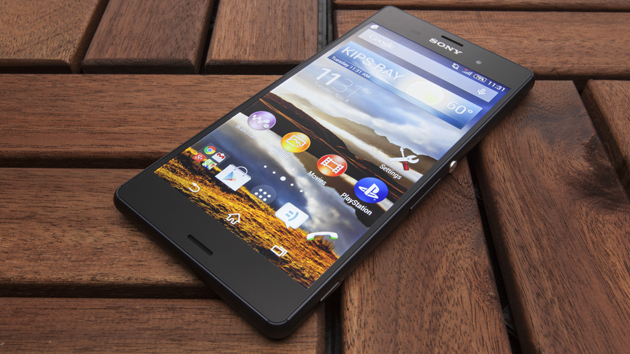 Whether you’re multi-tasking over Wi-Fi or the latest 4G network, Xperia Z3+ delivers the speed you need. LTE Cat6 and Wi-Fi MIMO support enable faster connection speeds for a rich, connected experience with up to 300 Mbps LTE data download speeds on the move (actual speed may differ according to operator networks) . Download email with attachments in seconds and enjoy video streaming with no delays or unwanted buffering. Powerful smartphone features demand smart power management. Xperia Z3+ is equipped to let you enjoy whatever you like doing for as long as you want. Sony’s incredible up to two-day battery stamina and innovative power-saving technology combine to give you superior long-lasting battery performance. And now you can get one day usage with just 45 minutes of charging using the quick charger which is supplied in the box along with Xperia Z3+. Not only that, the Xperia Z3+ can keep going for 5.5 hours with just 10 minutes of charging. Xperia Z3+ features an ultra-bright 5.2” Full HD smart adaptive display that provides increased brightness and contrast, without losing stamina. Sony’s TRILUMINOS Display for mobile with Live Colour LED and X-Reality for mobile ensure sharper and more vivid colours. Intuitive contrast enhancement delivers the most optimized viewing experience, even in bright sunlight. Sony’s rich expertise in audio technologies lets you enjoy sound in incredible detail and clarity. High-Res Audio reproduces high frequency sound for a studio quality experience. DSEEHX upscales the audio fidelity of your existing MP3 or AAC tracks to near High-Res Audio quality. And for high quality wireless music listening, Sony’s new LDAC codec transmits data three times more efficiently than legacy codec over Bluetooth. For those times when you need to block out background noise, Xperia Z3+ supports digital noise cancelling and pairs with the MDR-NC31EM headset, reducing ambient noise by up to 98%. The Xperia Z3+ can identify headsets (both Sony & 3rd party) and optimise audio settings to deliver the best audio output. Xperia Z3+ can sense both the type and style of headset and automatically adjusts the audio settings accordingly for best sound experience. Keep playing your favouritePlayStation4 (PS4) games wherever you are in the home with PS4 Remote Play2. Simply connect your Xperia Z3+ to your PS4 via home Wi-Fi and use the DUALSHOCK4 Wireless Controller to ensure you never miss a minute of the action – whatever room you are in. And to ensure you continue to enjoy the best experiences that Sony has to offer, all Xperia Z3+ users will benefit from access to Xperia LoungeGold - delivering the world of Sony entertainment at your fingertips. Get access to exclusive competitions and offers; be among the first to try out new apps; and enjoy the latest movies, TV episodes and music included with your device. 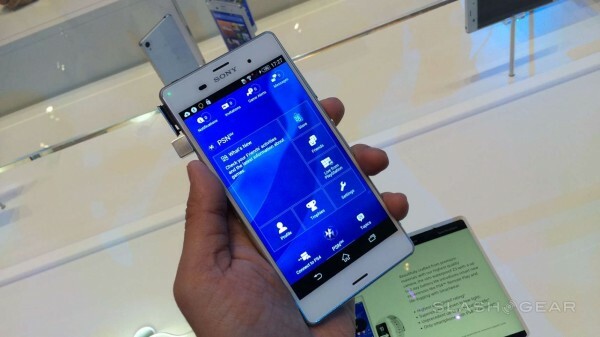 Xperia Z3+ will be available across Sony centers, Xperia stores and major electronic stores in India. Speaking on the occasion, Amit Laroya, Managing Director, 3M India said, “Innovative thinking forms an integral part of the 3M culture. Through this initiative we believe we are taking this belief a notch higher. 3M is looking to promote and invest in young ideas and talent to develop not only socially responsible innovations but ideas which could be prototyped with the capability to address social good at large”. “3M-CII Young Innovators Challenge gives an opportunity for youth across India to showcase their innovations and get recognized. This recognition allows winners to get additional funding and scale up their innovations,” said Kris Gopalakrishnan, Past President, CII and Chairman, India Innovation Summit & Co-Founder, Infosys Limited. The 10 best ideas will be invited for a pitch session on July 23-24, based on which a reputed jury will choose 3 winning entries. The winners will then be felicitated at the 11th India Innovation Summit 2015, organized by CII in Bangalore on August 6 – 7, where they will be given an opportunity to present their winning projects. 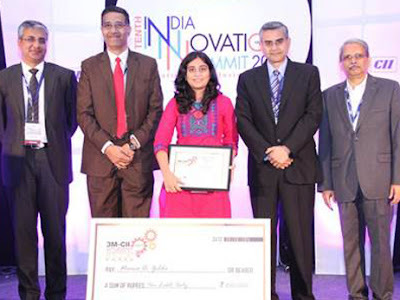 The winners will also receive grants (up to Rs, 2, 00, 000) from 3M India to prototype their idea. Adobe has launched a milestone release of its flagship Adobe Creative Cloud tools and services. The 2015 release of Creative Cloud includes major updates to Adobe’s industry-defining desktop tools, including Photoshop CC, Illustrator CC, Premiere Pro CC and InDesign CC; as well as new connected mobile apps for iOS and Android. The company also shipped Adobe Stock, the industry’s first stock content service to be integrated directly into the creative process and the tools creatives. In addition, Adobe announced an expanded Creative Cloud enterprise offering that includes enterprise-grade administration, security, collaboration and publishing services for design-driven brands, businesses and large organizations. * Celebrating its 25th anniversary this year, Photoshop CC introduces Artboards, the best way to design cross-device user experiences in a single Photoshop document and quickly preview them on a device; and a preview release of Photoshop Design Space, a sleek new work environment focused on the needs of mobile app and web site designers. * Lightroom CC and Photoshop CC both gain the new Dehaze feature, which appeared first as a MAX sneak in October 2014. Dehaze, eliminates fog and haze from photos, including underwater shots, for startlingly clear images. Haze can also be added to a photo for artistic effect. * Premiere Pro CC furthers its lead in the market with the addition of the Lumetri Color panel for powerful color corrections using intuitive sliders and other simple controls; and Morph Cut, which makes it easier to deliver polished interview content by smoothing out jump cuts in talking-head shots to create a cohesive, polished sequence. * After Effects CC now has Uninterrupted Preview to allow artists to adjust a composition’s properties and even resize panels without impacting playback. Also, the groundbreaking Adobe Character Animator brings 2D figures to life using a webcam to track facial movements, record dialog and apply movements in real time onto a pre-configured character. * Illustrator CC is now 10 times faster and 10 times more precise than CS6. Powered by dramatic boosts to its Mercury Performance Engine, users can now pan and zoom smoothly without delays. With the new Chart tool (preview), designers can also create beautiful custom charts and share them with others via CC Libraries. * InDesign CC gets its own Mercury performance surge with zooming, scrolling, and paging through complex documents now twice as fast. InDesign now also allows users to publish and distribute documents with a single click. * Dreamweaver CC has new responsive web design capabilities that let designers quickly lay out and build production-ready sites that adapt to any screen size. * Adobe Muse now includes instant access to premium fonts from Typekit. * And much, much more. Additional updates to these and other CC desktop applications make this one of the biggest releases in years. Since Creative Cloud was introduced in 2012, Adobe has championed the idea that mobile devices should be integral to the creative process, with free companion mobile apps working seamlessly with CC desktop tools. Adobe today released Brush CC, Shape CC,Color CC and Photoshop Mix on Android for the first time, bringing connected mobile workflows to millions of creatives worldwide. Adobe has also updated many of its popular Creative Cloud mobile apps for iPhone and iPad, including Adobe Comp CC, Photoshop Mix, Photoshop Sketch, Illustrator Draw, Brush CC, Shape CC and Color CC. 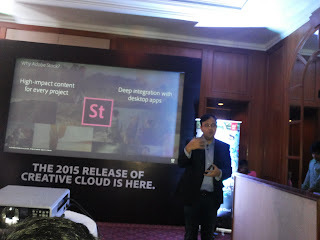 Major enhancements to Creative Cloud for enterprise were also announced: a solution for large commercial, education and government customers who must radically speed the development and publishing of customer experiences, as part of their digital transformation strategies. 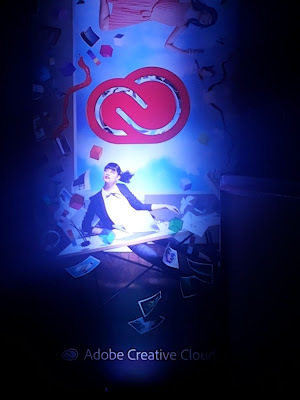 This edition includes all the product features from today’s Creative Cloud 2015 release, plus expanded security options and deep connections with Adobe Digital Publishing Solution (DPS) and Adobe Marketing Cloud. Two new security capabilities ensure protection of corporate assets, including customer-managed encryption keys and a new managed service hosting option, which offers dedicated storage behind a customer’s firewall. Creative Cloud for enterprise also supports an upcoming release of DPS, empowering existing teams in organizations to rapidly design and publish mobile apps without writing code. A public beta of this major update to DPS is available this week. Content from Creative Cloud for enterprise also syncs with Adobe Experience Manager (AEM), a key component of Adobe Marketing cloud, to accelerate marketing campaigns by streamlining creative-to-marketing workflows. Today’s updates to CC desktop and mobile apps are immediately available for download by Creative Cloud members as part of their membership at no additional cost. Membership plans are available for individuals, students, teams, educational institutions, government agencies and enterprises. When adding Adobe Stock to any paid yearly Creative Cloud membership plan, creatives can save up to 40 percent over purchasing stock content separately. CAMTech INDIA—a United States Agency for International Development (USAID/India) funded public-private partnership which aims to accelerate medical technology innovation for reproductive, maternal, newborn and child health (RMNCH) in India— will hold its second annual hack-a-thon (“Jugaad-a-thon”) in Bengaluru on June 26-28, 2015. Organized in partnership with Lattice Innovations and hosted by GE Healthcare India, the event brings together some of the world’s brightest minds to develop innovative and affordable health technologies that can help save the lives of women and children across India. 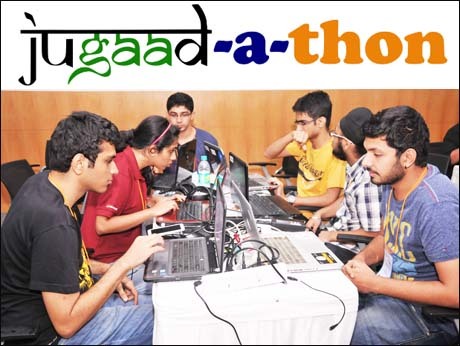 The CAMTech INDIA Jugaad-a-thon (derived from the Hindi word “jugaad” meaning an innovative fix or work-around), invites clinicians, engineers, entrepreneurs and end-users to co-create solutions to identified and pressing clinical challenges through an open innovation platform. In 48 hours, teams will move from ideas to prototypes with early business models that have the potential to transform RMNCH outcomes in India and around the world. The event will take place at GE’s John F. Welch Technology Centre in Bengaluru, the company’s largest innovation center. GE Healthcare is at work for a healthier India and is focusing on some of the toughest healthcare challenges faced by India today – lowering maternal and infant mortality rates, enabling early detection of cancer for early treatment and addressing heart diseases. “We are pleased to partner with CAMTech once again to help spur the innovation of accessible, affordable healthcare solutions for a healthier world. 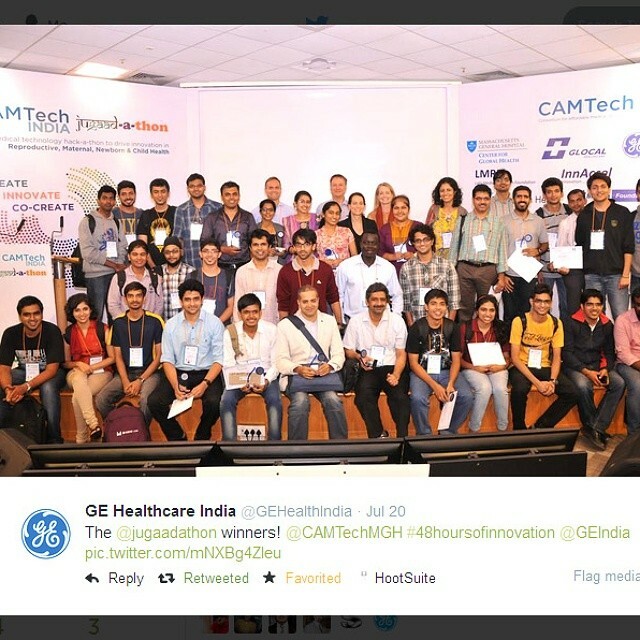 As the leading innovator of healthcare technologies and solutions, we would like to offer our expertise, advanced laboratories and industrial design facilities to these budding innovators for forging a culture of open innovation and co-creation of healthcare technologies”, said Milan Rao, President & CEO, GE Healthcare South Asia. The Jugaad-a-thon will be directly preceded by a Clinical Summit, which will convene clinicians, healthcare workers, government public health experts and patients from across India to identify the most pressing RMNCH needs and best practices in delivering care. The Summit will also include a Technology Showcase for early-stage and newly marketed medical technologies that aim to improve quality and access for RMNCH in India. Chambers of Commerce and Industry (FICCI) and Terumo India for the top two innovations that make the most progress 30 days after the event. Teams will be judged by a panel of experts from public health, engineering and business, reflecting CAMTech’s cross-sector approach to innovation. 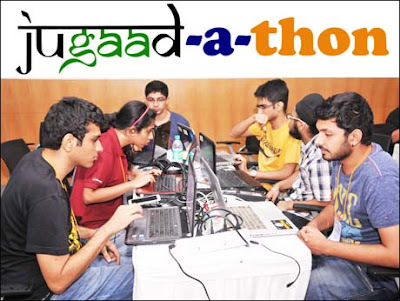 “In a world that is witnessing technological advancement take place at breakneck speed, the Jugaad-a-thon creates a space for researchers and practitioners to channel this growth - through exciting ideas and innovations - towards social good,” said Neha Kumar, a professor of international development and human-computer interaction at the Georgia Institute of Technology. Kumar was a member of last year’s winning team, “Baby Steps”, which created an integrated mobile application for early diagnosis of developmental delays in children across India. She’ll return this year not only as a participant, but also as a budding entrepreneur. Since 2012, CAMTech has brought together over 1,500 innovators from more than 300 clinical, academic and commercial organizations to participate in medtech hack-a-thons, award programs and entrepreneurial-building initiatives. These efforts have helped spawn nearly 350 new technologies addressing intractable problems such as newborn asphyxia, post-partum hemorrhage and cervical cancer. CAMTech’s initiatives, including its newly launched Online Innovation Platform, help connect and support a global community of innovators working to improve health in developing and emerging markets.